With this year's Fanfare competition well underway, we thought it would be helpful to gather some advice on what makes a good fanfare from one of the judges, Music Director of the Royal Opera Antonio Pappano. For further inspiration, listen the entries already submitted. 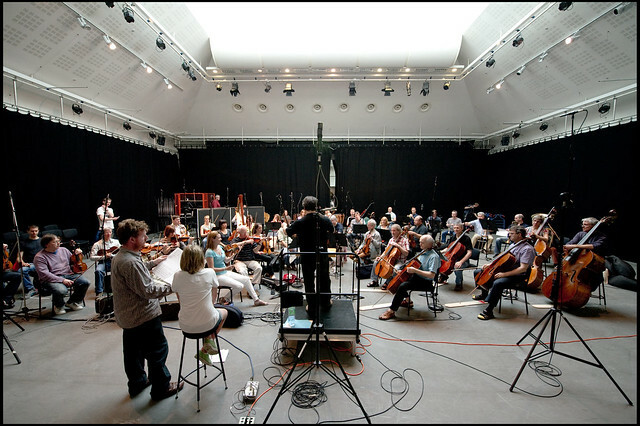 The competition, now in its third year, gives 11-16 year olds the chance to have their music arranged by a professional composer and recorded by the Orchestra of the Royal Opera House under the baton of Pappano. These recordings are then played every night to let the audience know the performance is about to begin. We're looking for entries to be short, attention-grabbing and imaginative. It doesn't matter whether you can read music or not, as long as you can record or play your ideas. Entering the competition is easy; simply record your idea and upload it NUMU by Friday 23 March. Your entry can be a live recording of an instrument, your voice or can be created using computer software. We're looking for initial ideas that can then be developed with the help of a professional composer. The judges are looking for ideas that stand out from the crowd and have potential to be developed, so why not have a go!